ST. GEORGE – Education advocates are calling for a ballot initiative that would raise $750 million for Utah students by raising the state income tax; lawmakers, however, are reluctant to raise taxes and are looking for other ways to increase funding for education. Our Schools Now is pushing an initiative that would put the matter on the ballot in 2018 and is calling for a .008 increase in Utah personal income tax that would provide each Utah school with approximately $1,000 per student. If the measure passes, each elementary, middle and high school in the state would receive part of the money raised. In Iron and Washington counties, that could amount to more than $1 million in additional funding for the larger high schools, with lesser amounts for smaller schools, information from Our Schools Now states. 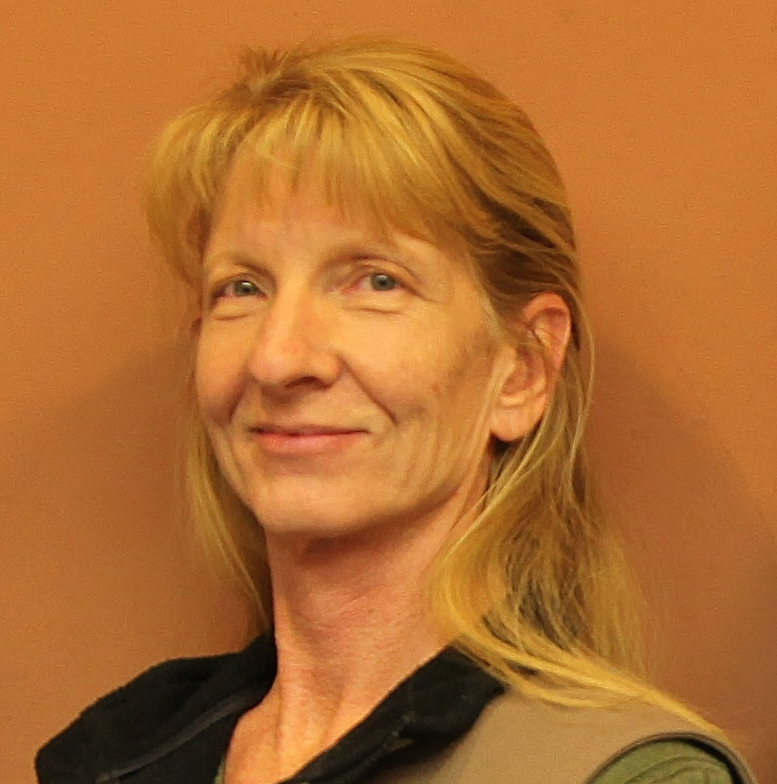 Utah legislators are not supporting the push for a ballot initiative, however. Senate President Wayne Niederhauser, R-Sandy, said hiking the state income tax rate “is the worst thing we can do” and would harm the economy. Niederhauser spoke at the United Way’s annual legislative preview breakfast Jan. 12, according to a report in the Deseret News. “I think it will be a negative for the economy that generates the money we have to spend on our schools,” Niederhauser said, adding there are a dozen other ways to boost education funding. At a Utah Taxpayers Association conference, Niederhauser did not argue with the need for more education revenue and suggested several alternatives including an increase in the gasoline tax, which could free up some of the sales tax money currently being spent on roads. Other options mentioned by Neiderhauser include adding sales tax to unprepared food, collecting tax on internet sales and reducing personal income tax exemptions; all of which are politically sensitive. Even if the ballot initiative is successful and the measure passes, $750 million annually will far fall short of the funding public education has lost in recent years. Utah’s K-12 education funding – the amount spent per $1,000 of personal income – has fallen from 7th highest in the nation to 37th over the past 20 years, the Utah Foundation states, and the decline has resulted in a $1.2 billion reduction in funds available to schools – nearly $2,000 per student. “This results in burdensome classroom sizes, stagnant student learning and most importantly, reduced opportunities for our children,” according to the Our Schools Now website. Supporters of the measure include prominent business and community leaders including St. George attorney and education advocate Timothy Anderson, who was recently named the chairman of the Rocky Vista University advisory council. “Our Schools Now is urgently needed because budget decisions over the last twenty years are now leaving public education with $1.6 billion less every year,” a report by Utah Policy.com states. Washington County School District has come under fire for several recent tax hikes; more funding from the state could alleviate pressure on local districts. The lack of investment in education has created teacher shortages and the lowest per-pupil spending in the country, hurting student learning and academic performance. Our Schools Now wants to distribute 84 percent of raised funds to grades K-12, 15 percent to higher education and 1 percent to applied technology colleges. The funding would be spent in ways that increase student learning and be tied to innovation and improvement of academic progress. To catch up to the national average in per-student expenditures, the state would need to raise education spending by 70 percent, or $2.9 billion, a Utah Foundation report states. “Our Schools Now is a win-win for all Utahns,” Gail Miller, owner of the Larry H. Miller Group of Companies, told Utah Policy. 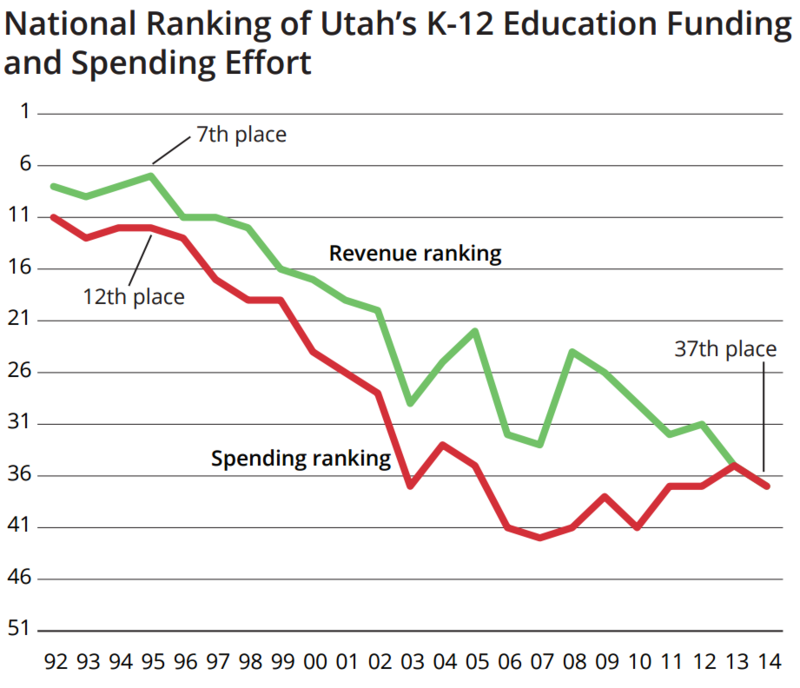 Education funding in Utah has declined since 1996, when Utah began spending income tax on higher education. Previously, income tax was only spent on K-12. In 2017, $800 million in state income tax revenue will be spent on higher education, according to the Utah Foundation report. Other changes in income tax laws and downward pressure from Truth in Taxation laws have also taken potential funds from education. They are asking for a 25% increase in your Utah income tax. The so-called “conservative republicans” of this state get as giddy as little schoolgirls when it comes to slapping us with new taxes. They’re actually worse than the “big city liberals” in any place i’ve lived. Good reporting would point out that a .008 increase to a .05% tax rate means the new income tax would rise from 5% to 5.8%. Calling it a .008 increase is meant to make it seem inconsequential, when in fact it is a 16% increase. Agree with utahdiablo above.. Proving once again you can make numbers say anything you want if you torture them enough. It then proceeds to lay out that the “other ways” are just increases to other taxes (rather than income tax). Many workers have had limited or non-existent raises for years, but the taxes keep increasing.